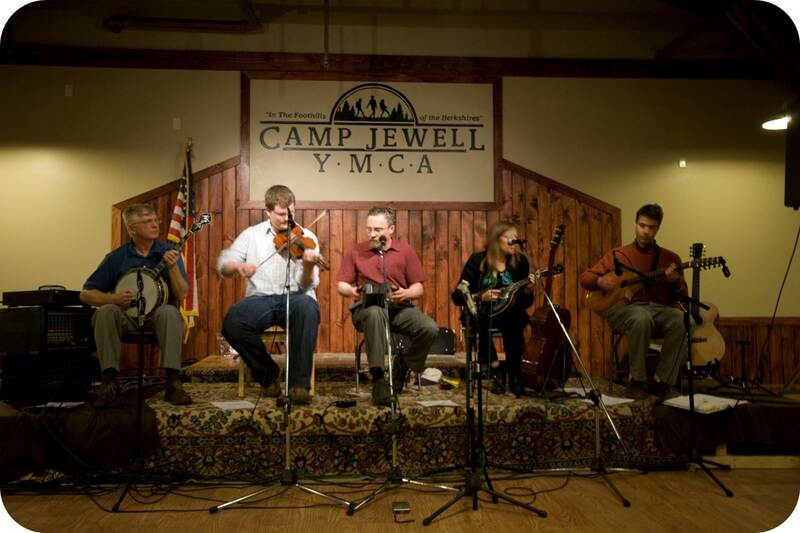 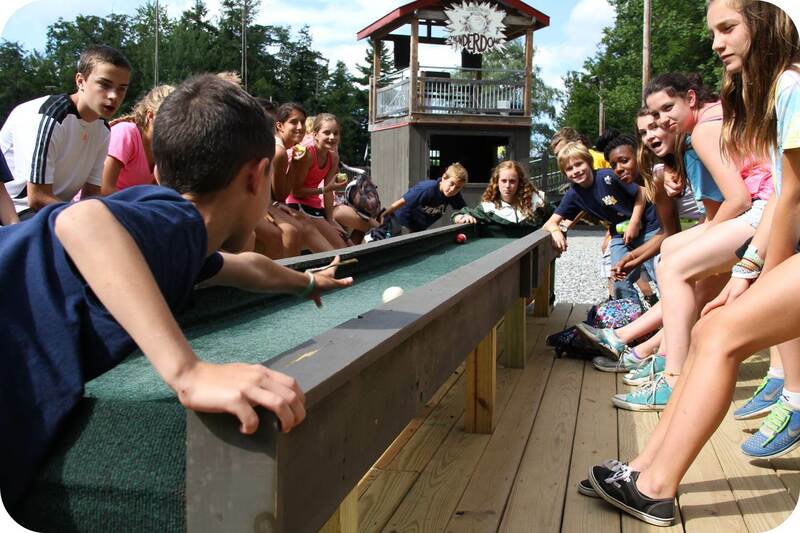 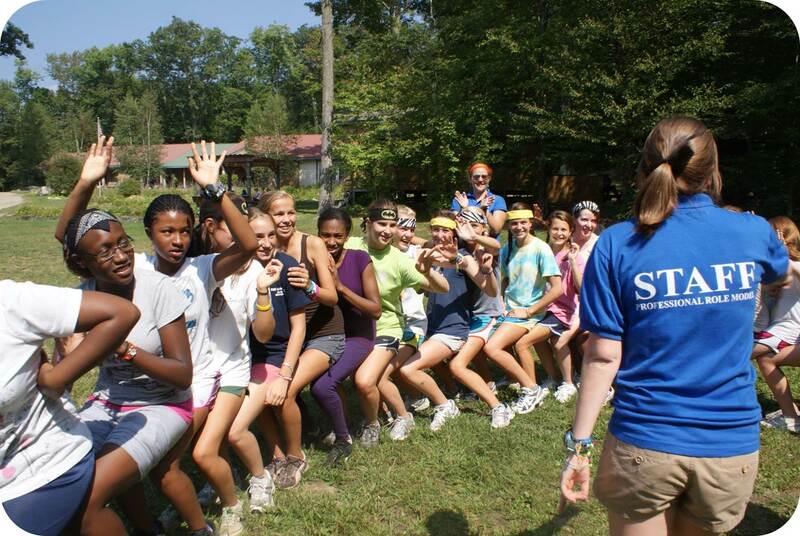 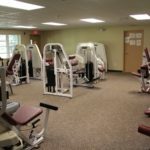 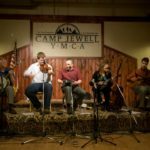 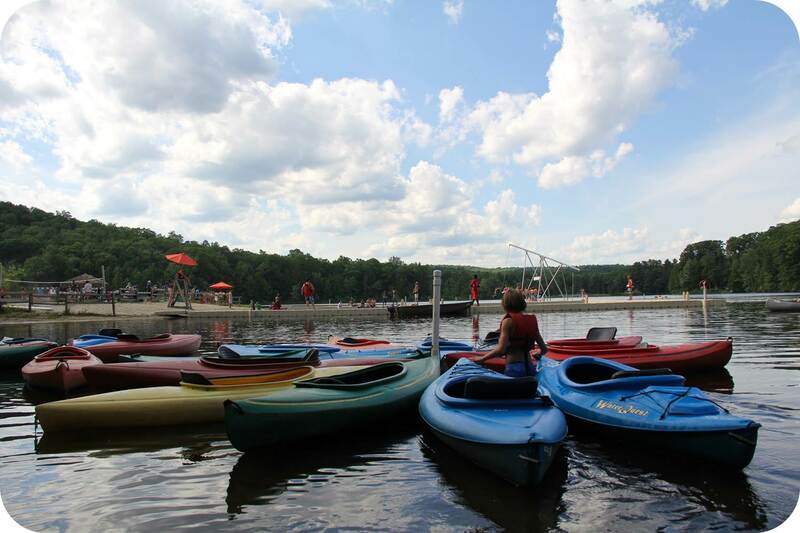 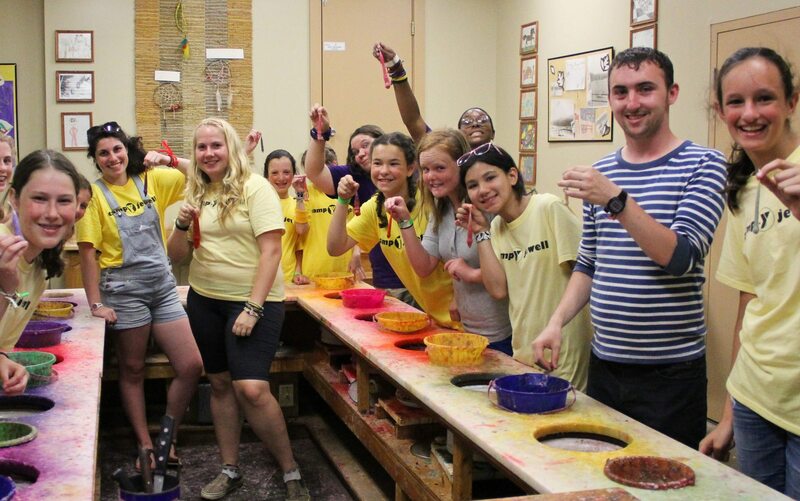 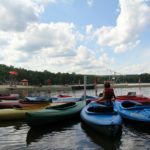 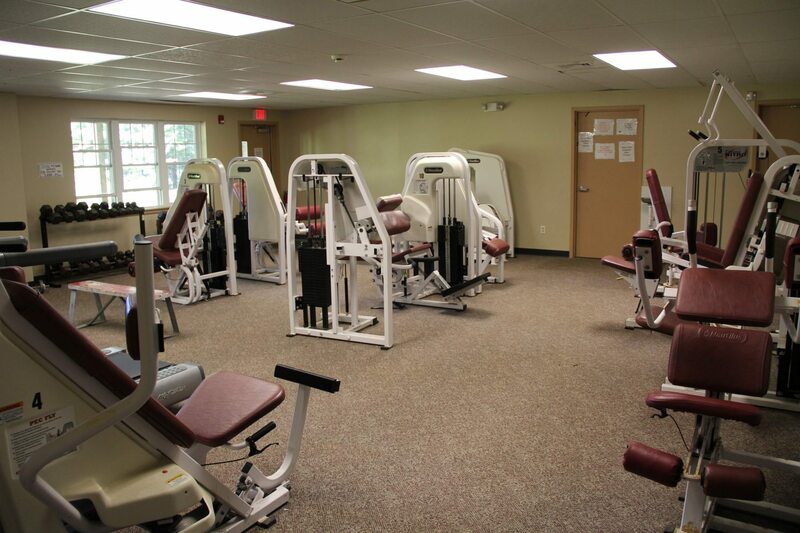 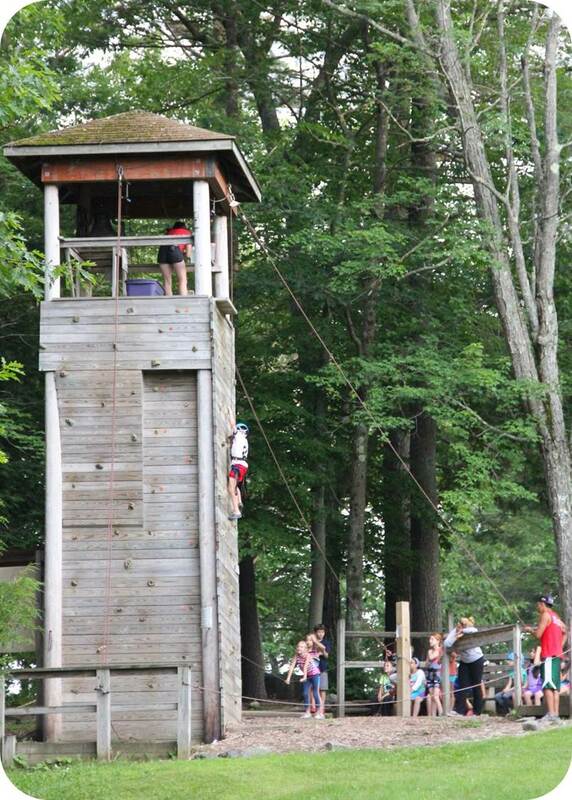 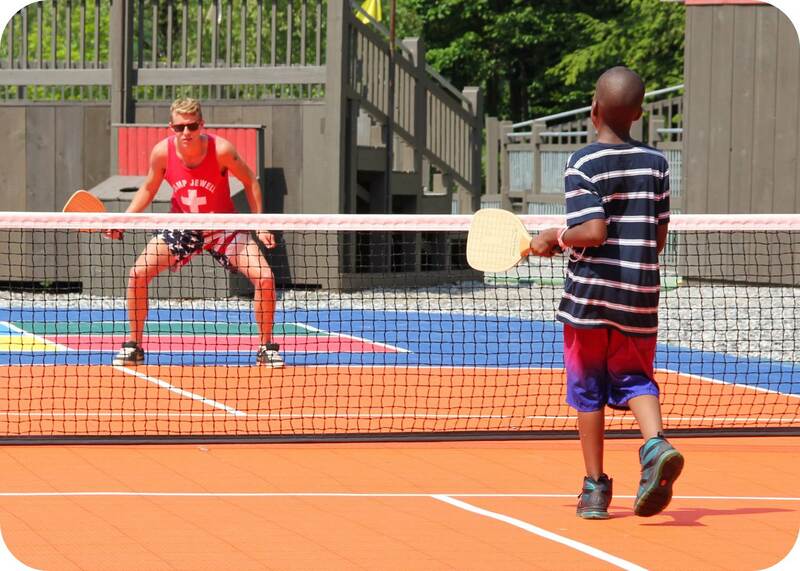 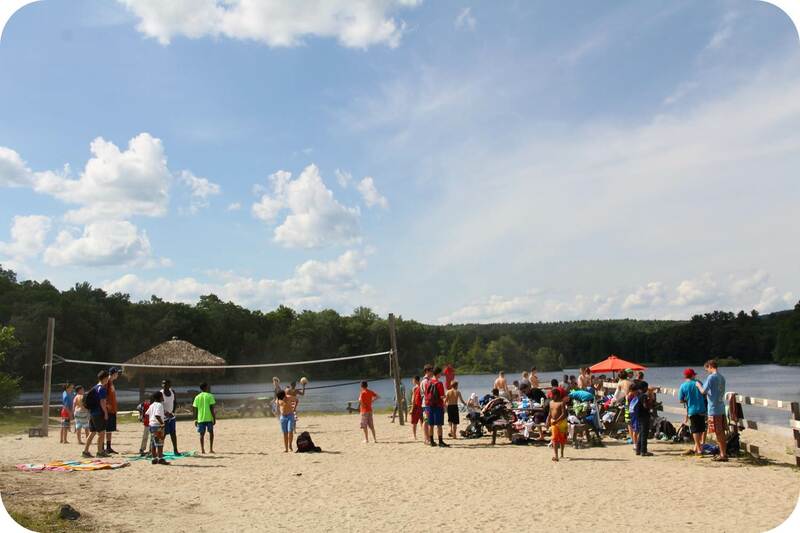 Camp Jewell YMCA features two separate, full-service camps within our 540 acres. 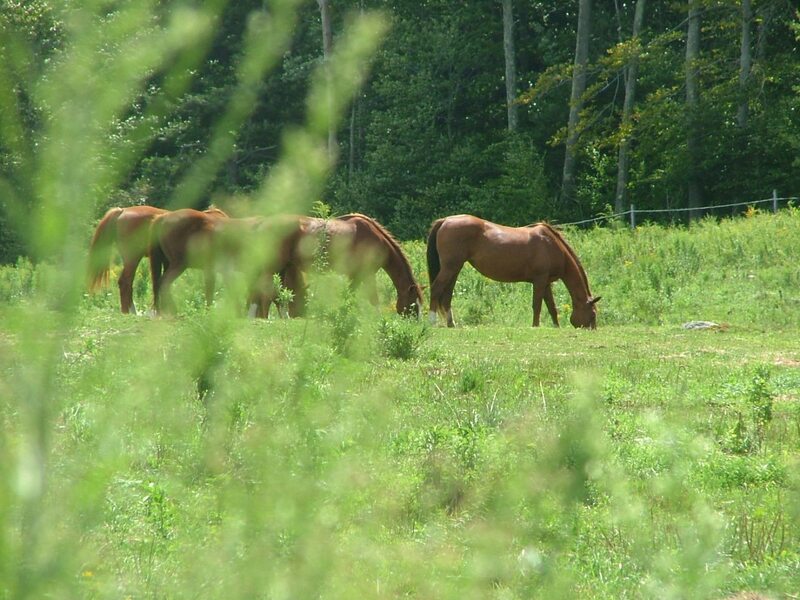 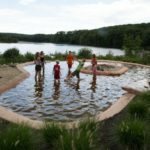 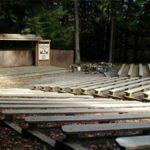 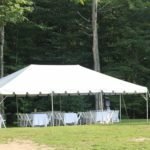 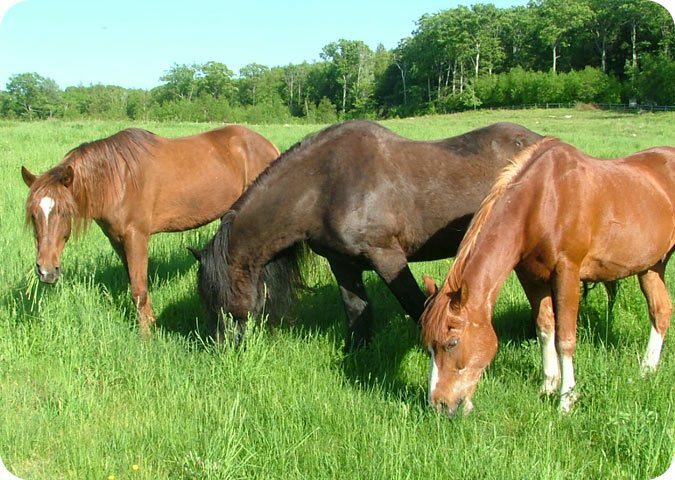 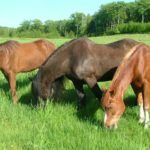 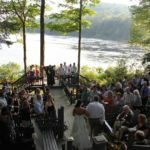 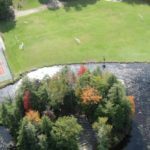 Nestled in the foothills of the Berkshire Mountains we have several miles of hiking trails, a wilderness area, and 40 acre private lake. 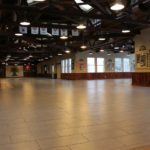 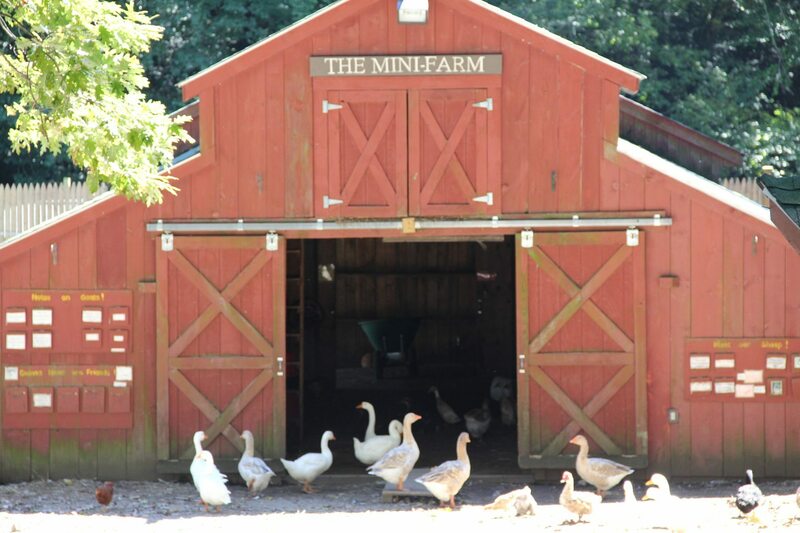 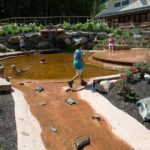 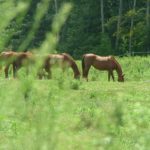 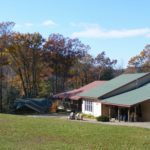 Our facilities enable us to serve thousands of visitors each year who enjoy our beautiful 540 acres, friendly staff, and innovative programs. 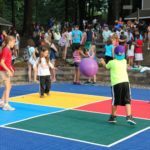 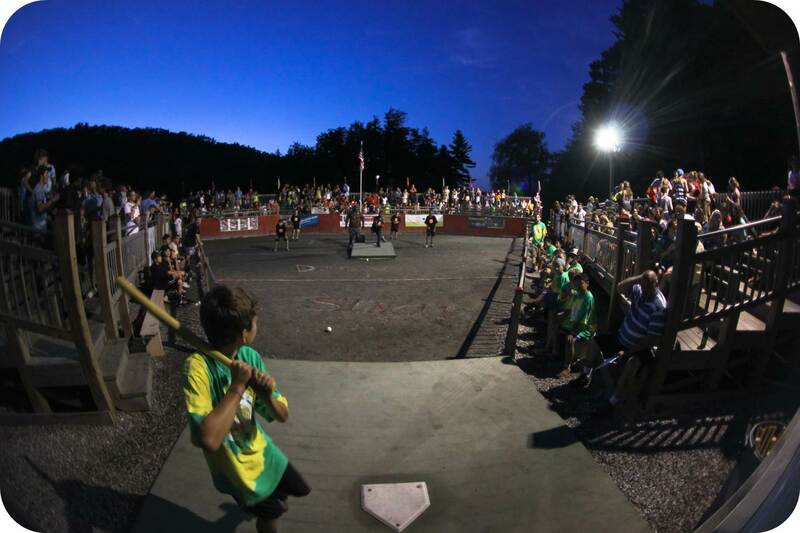 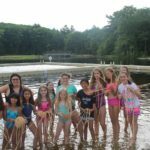 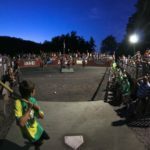 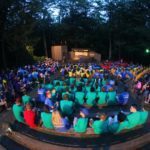 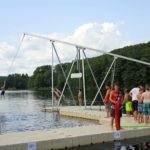 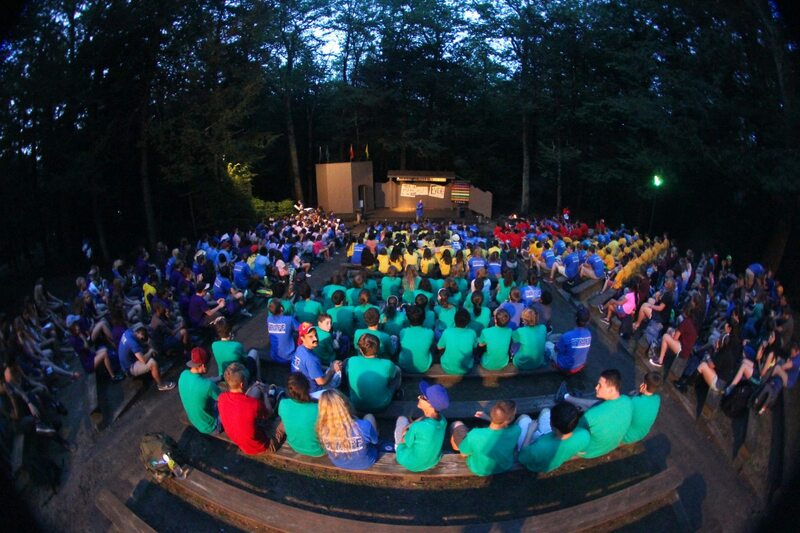 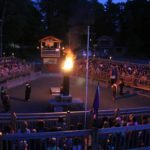 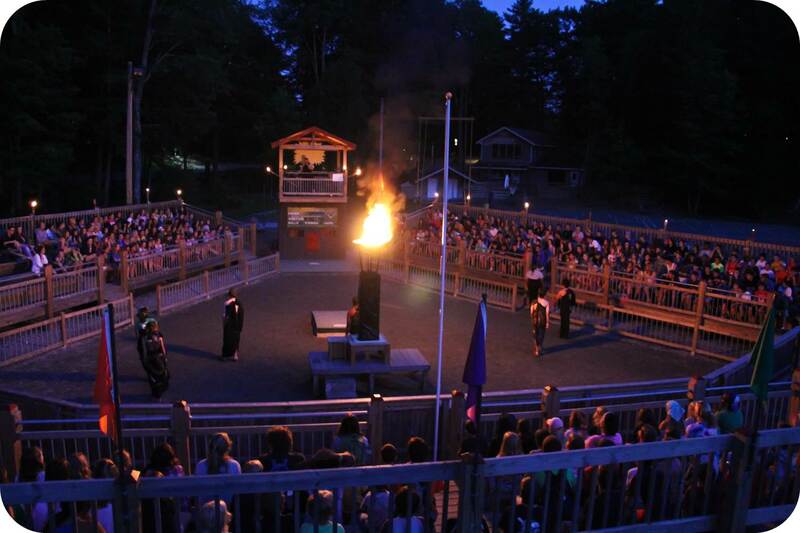 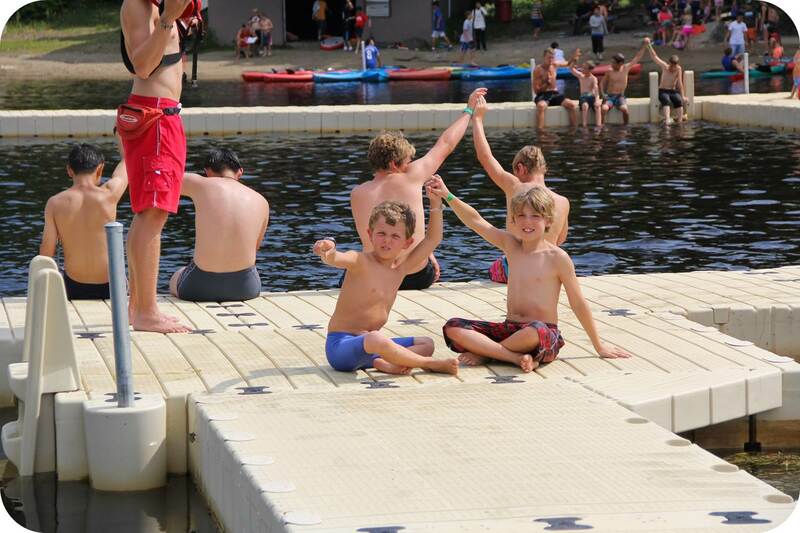 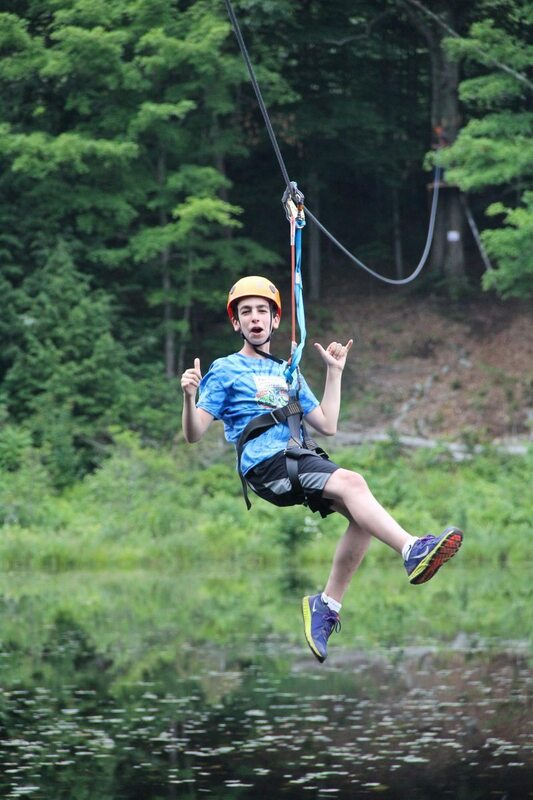 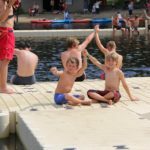 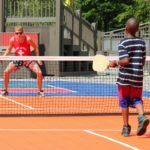 During the summer, over 1500 campers and 180 staff come together to form a vibrant camp community. 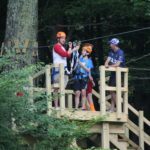 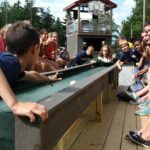 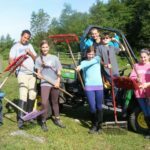 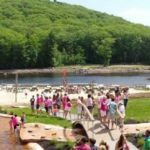 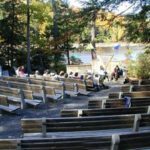 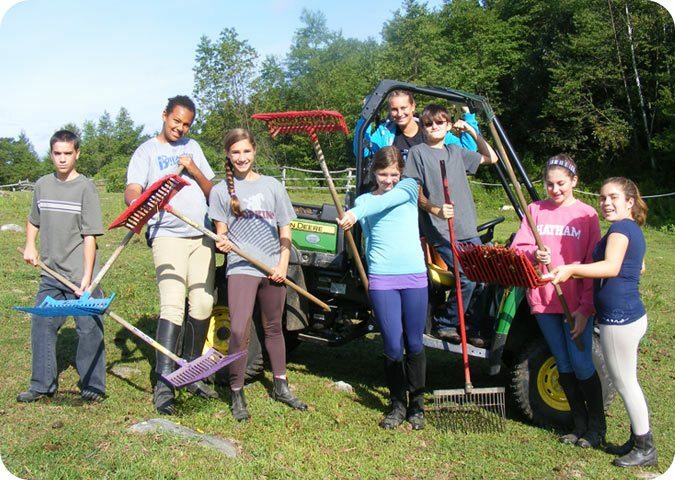 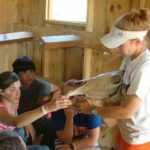 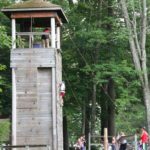 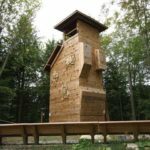 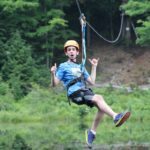 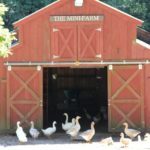 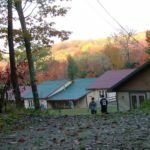 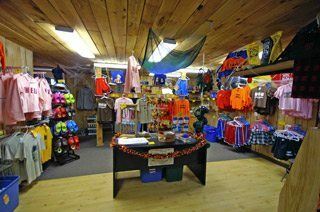 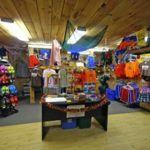 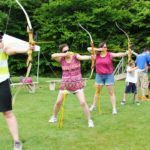 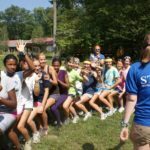 In the Fall, Winter, and Spring, Outdoor Center guests come to enjoy camp through our conference, teambuilding, and outdoor education programs. 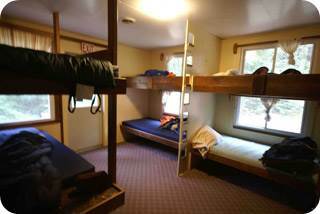 houses up to 400 people in 13 fully winterized cabins that can each sleep up to 26 people. 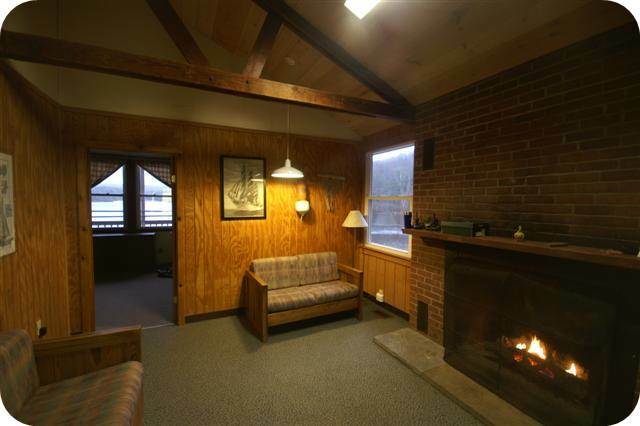 Every cabin features bathrooms, showers and a central common area with a fireplace. 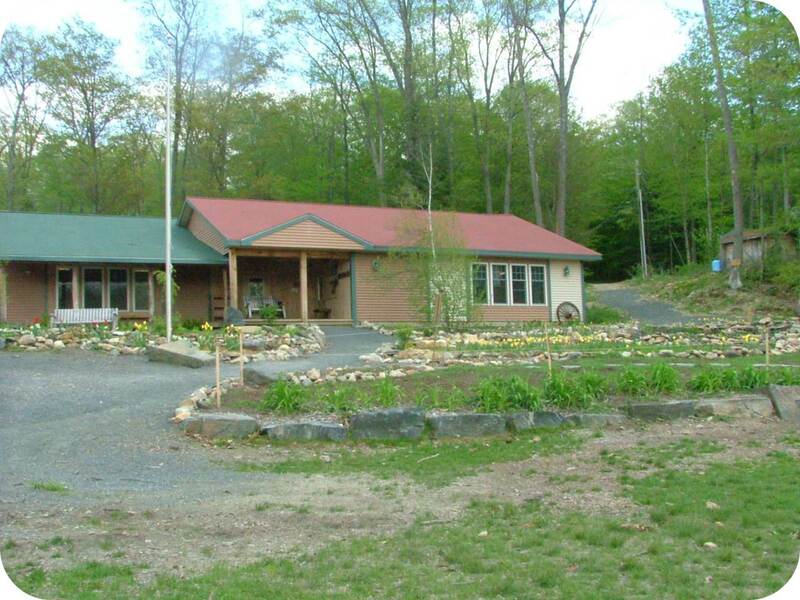 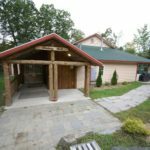 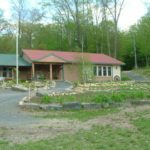 In addition, our Senior Lodge sleeps up to 68 people. 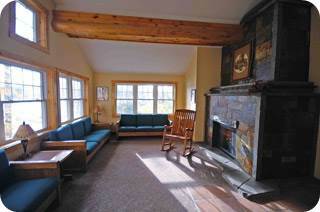 With an abundance of indoor and outdoor meeting and recreational spaces, as well as miles of hiking trails. 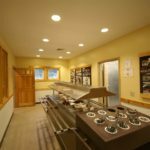 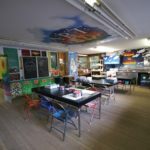 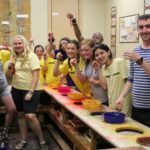 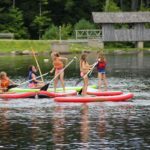 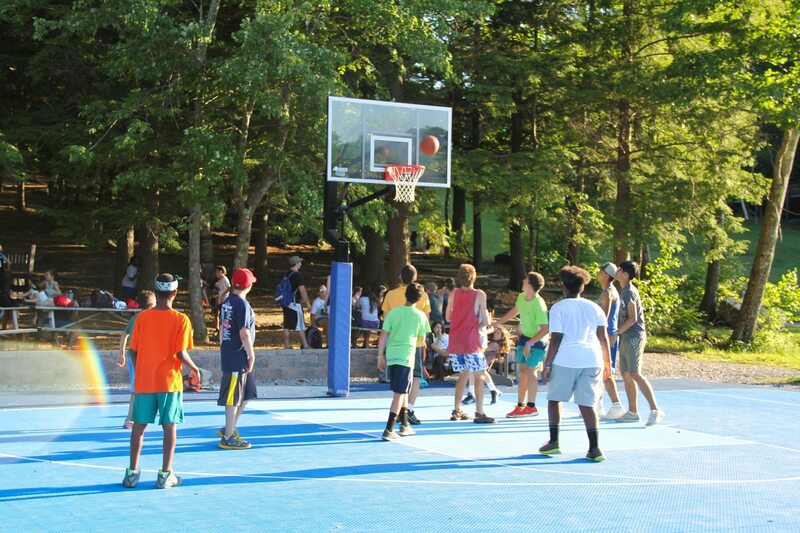 You can spend your time at camp enjoying all the activities we have to offer along with healthy family-style meals prepared fresh and on-site by our chefs. 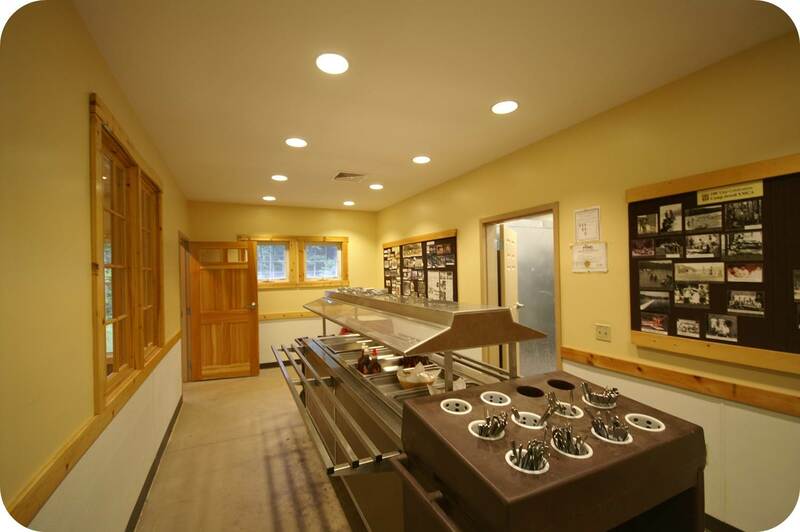 We are happy to accommodate food allergies and other special dietary needs. 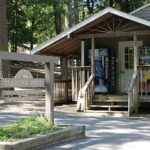 located across the lake from our main camp, offers secluded facilities specifically designed for smaller groups who would like a more intimate environment. 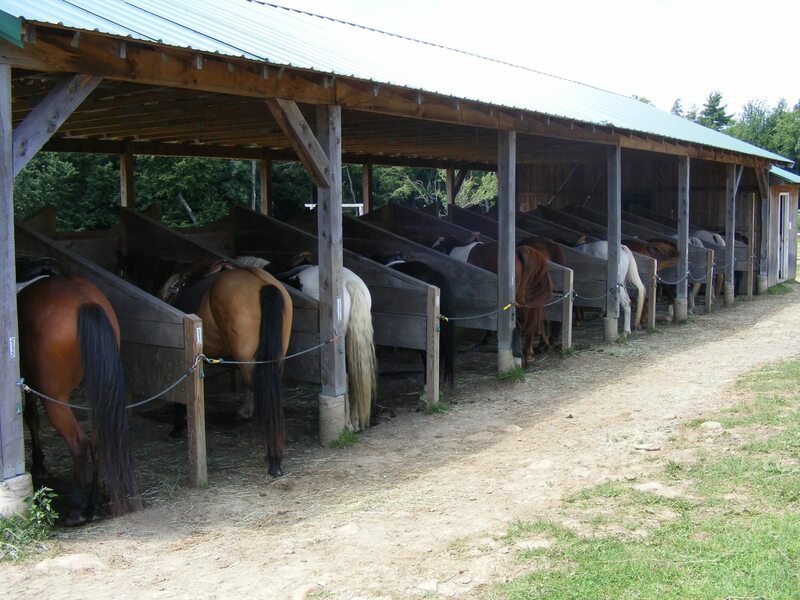 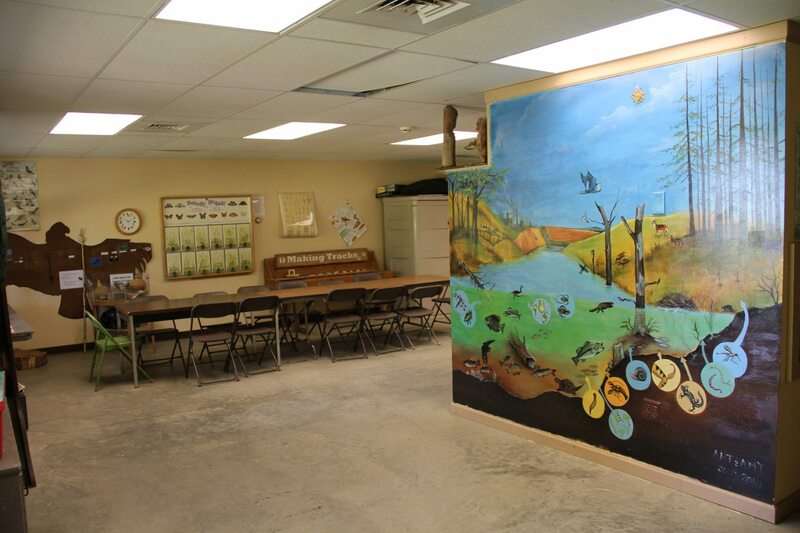 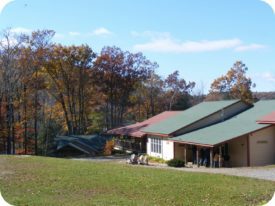 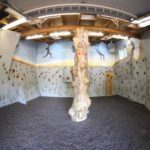 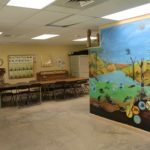 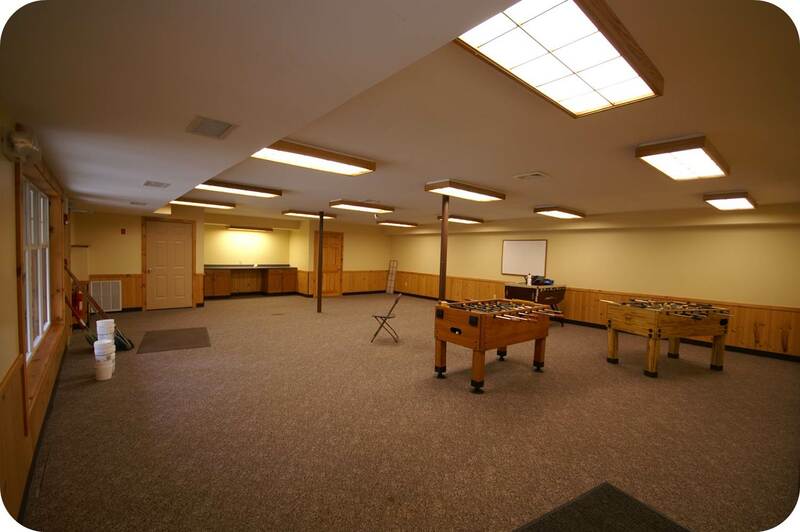 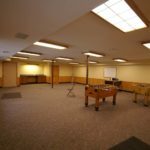 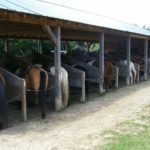 Completed in 2004, Hide-A-Way Ranch is modern and spacious, perfect for groups of 30-96 participants. 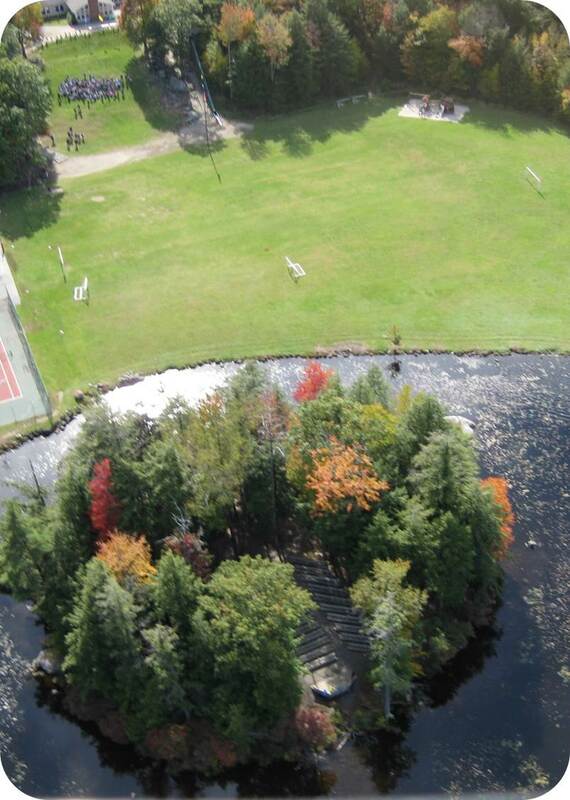 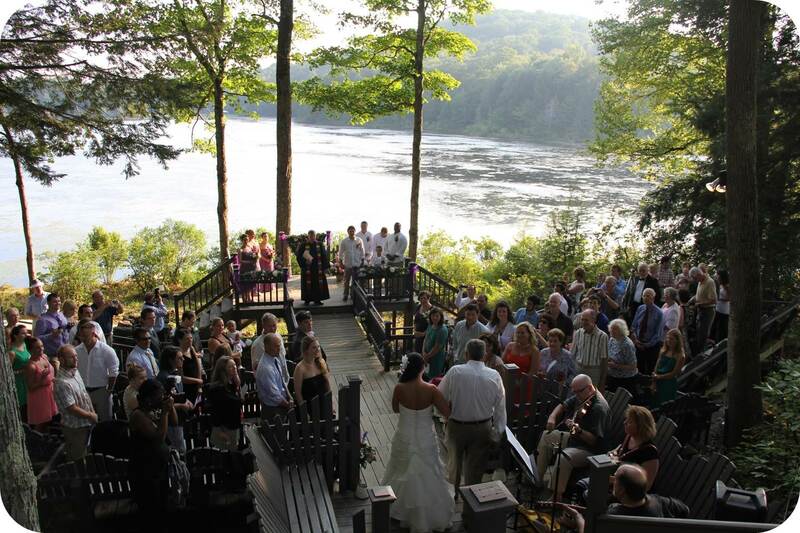 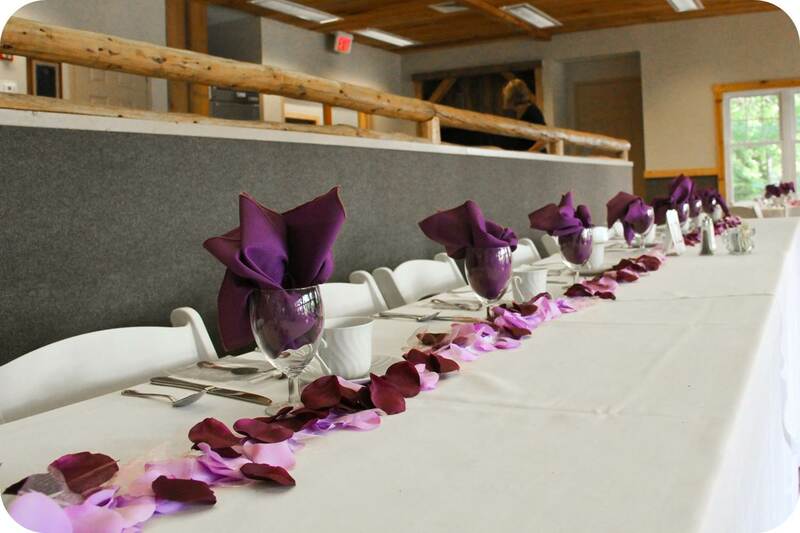 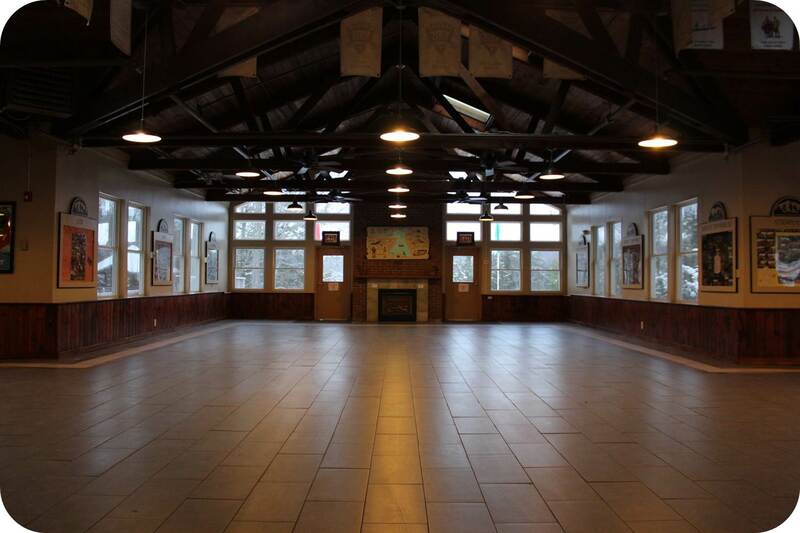 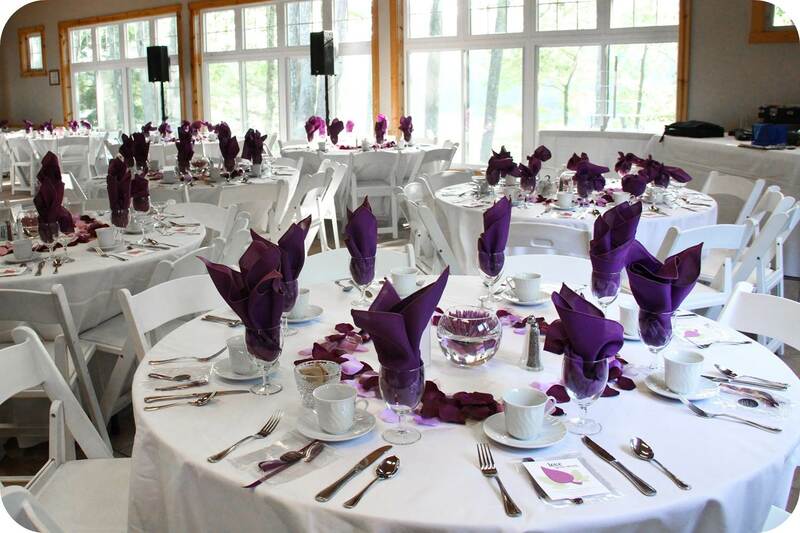 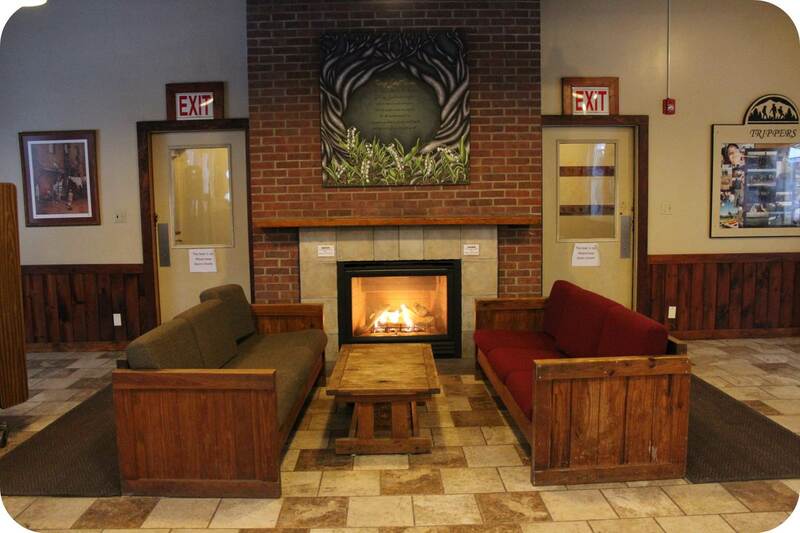 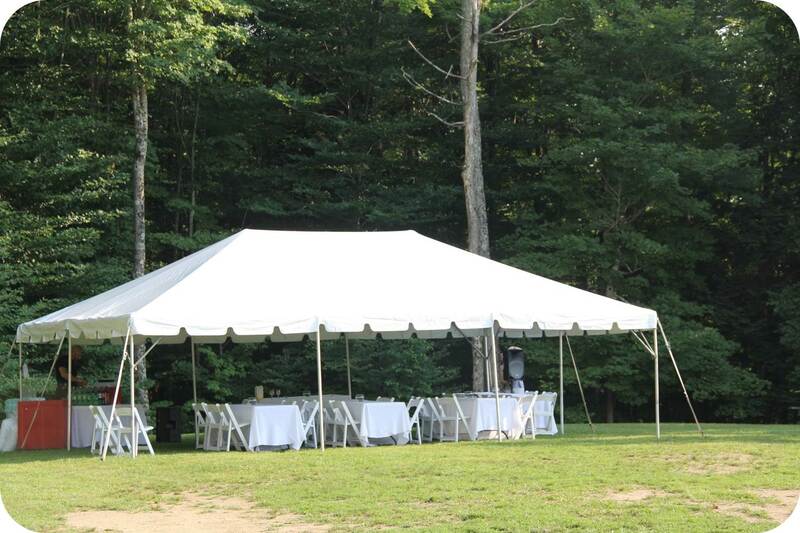 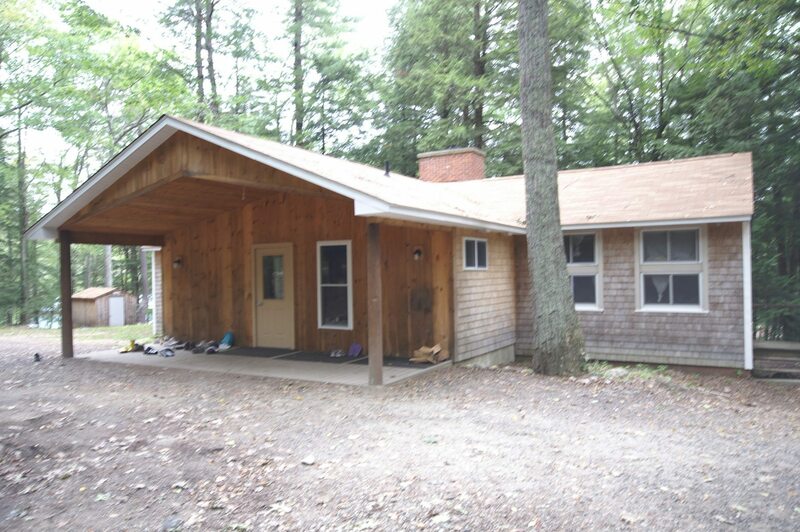 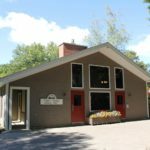 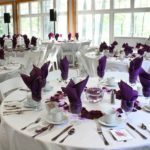 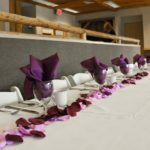 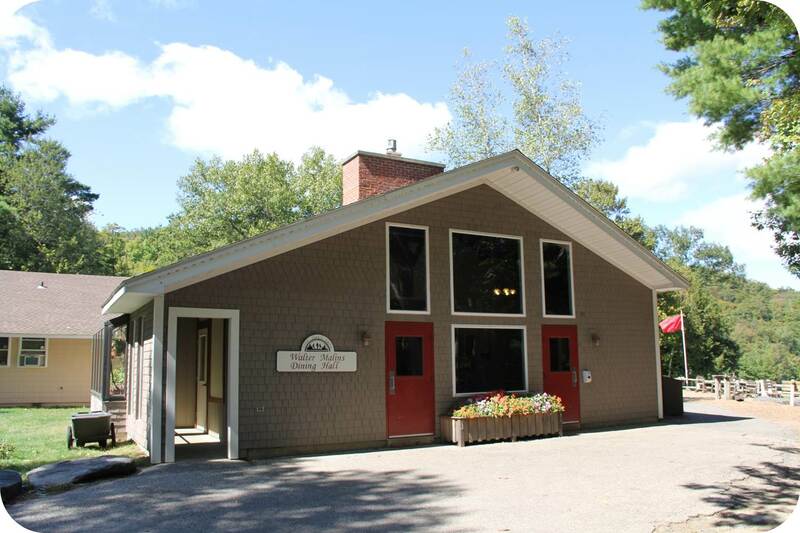 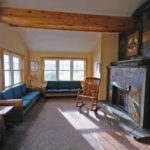 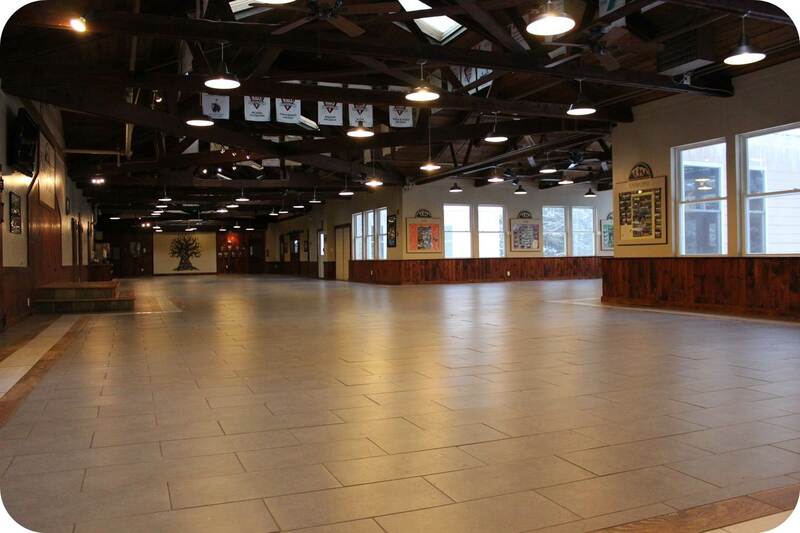 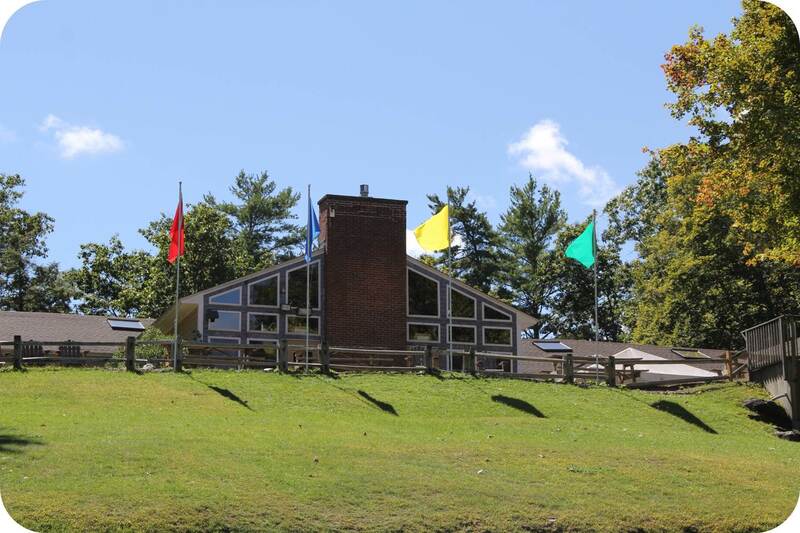 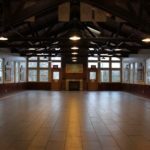 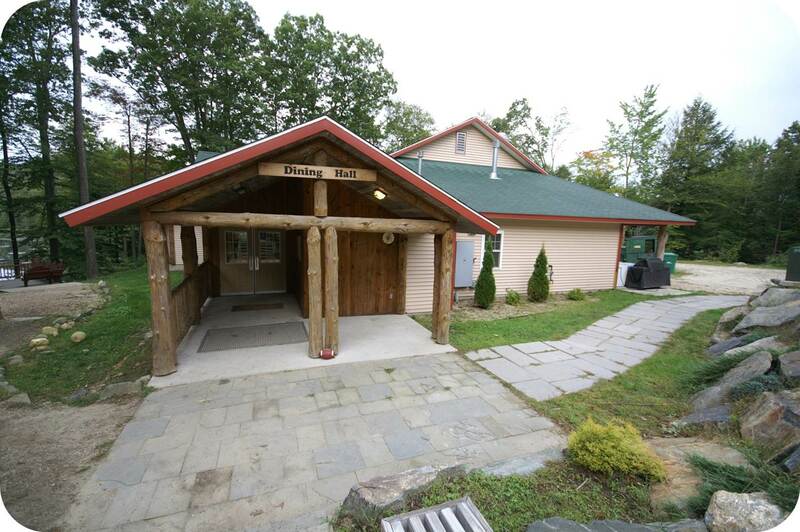 It features a private dining hall, complete with a large fireplace room and beautiful views overlooking Triangle Lake. 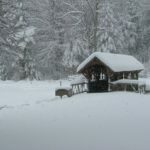 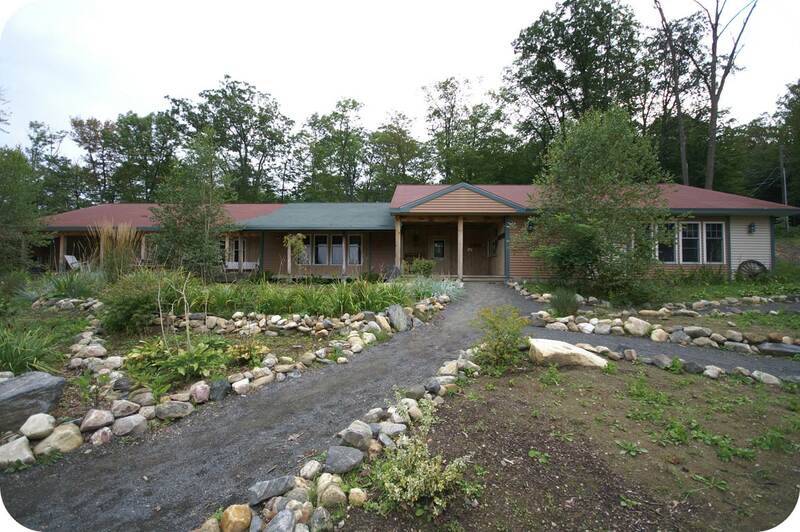 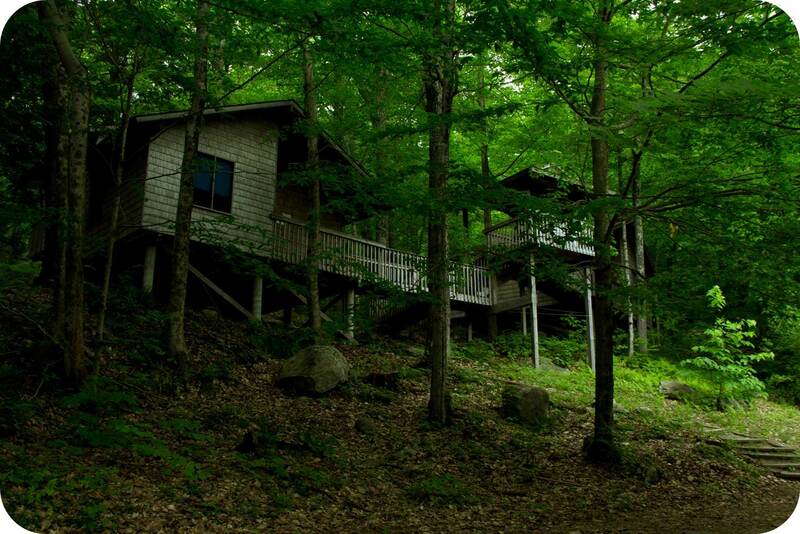 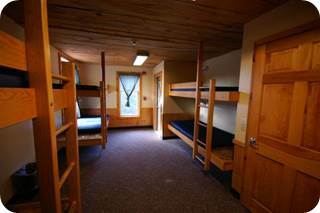 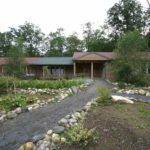 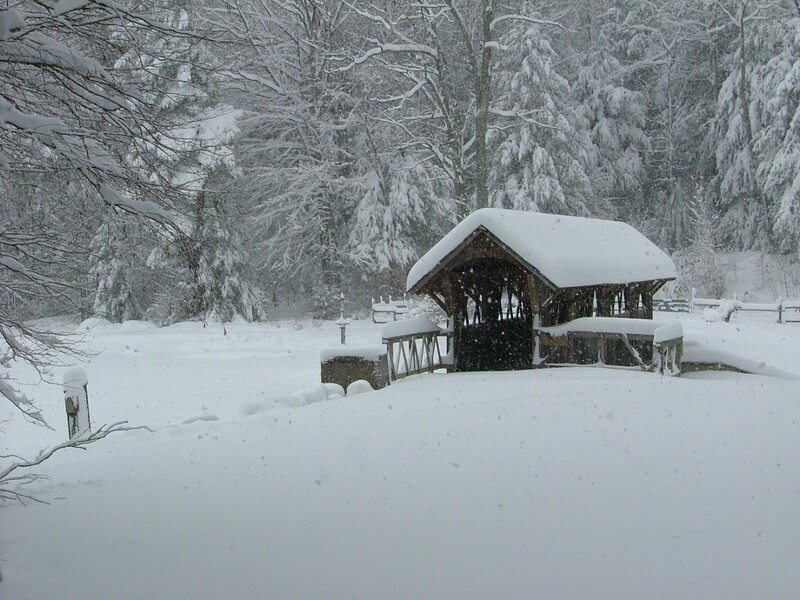 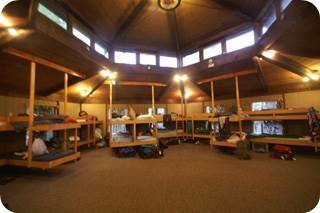 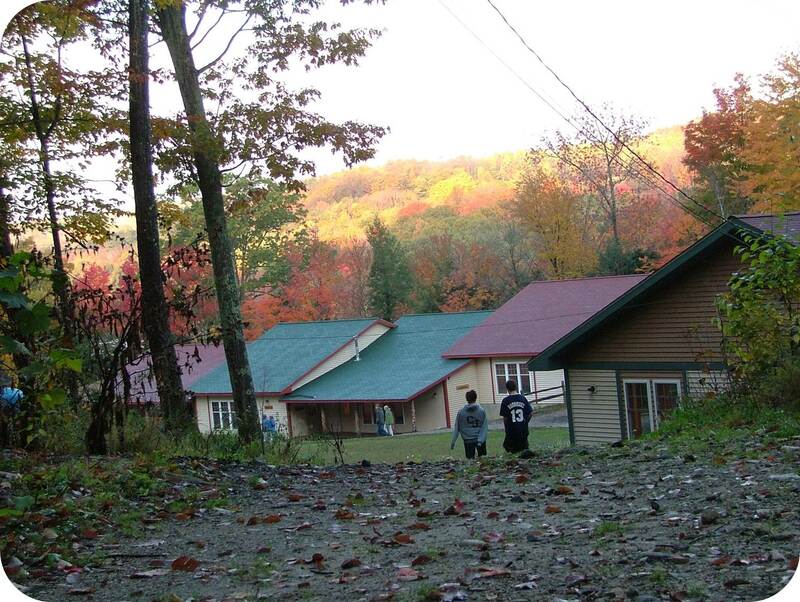 The Longhouse and Bunkhouse cabins each accommodate 48 guests in four distinctive living areas. 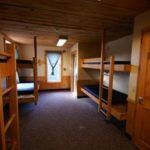 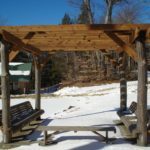 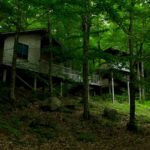 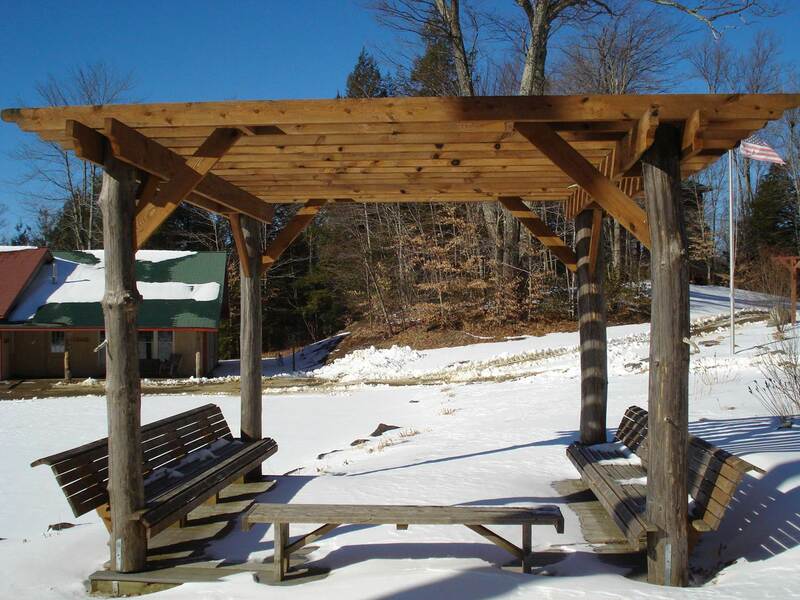 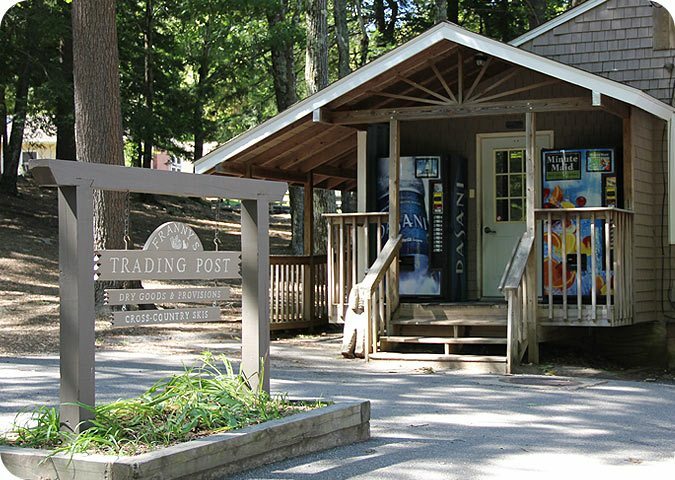 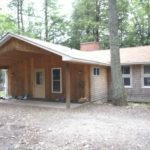 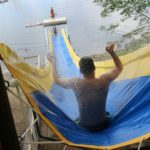 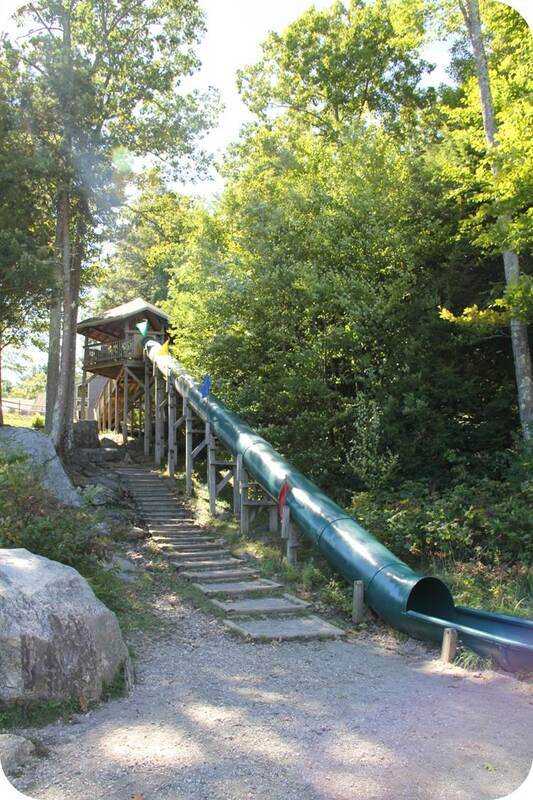 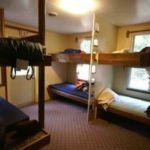 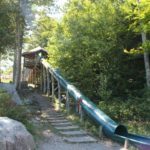 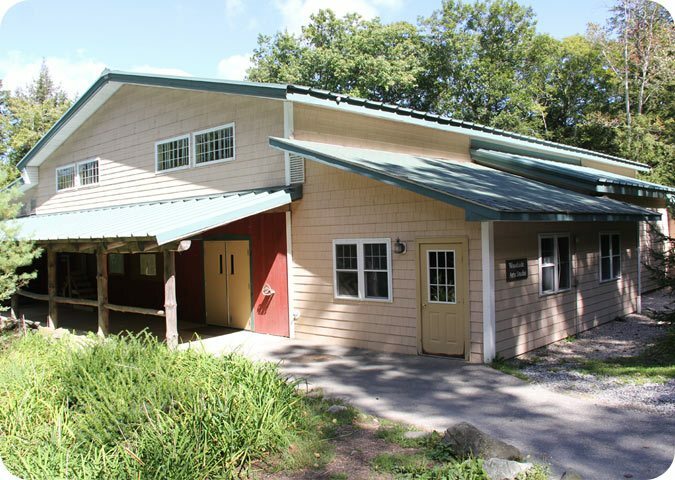 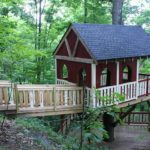 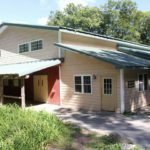 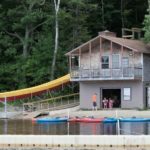 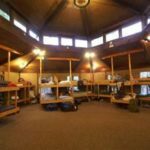 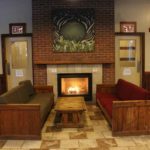 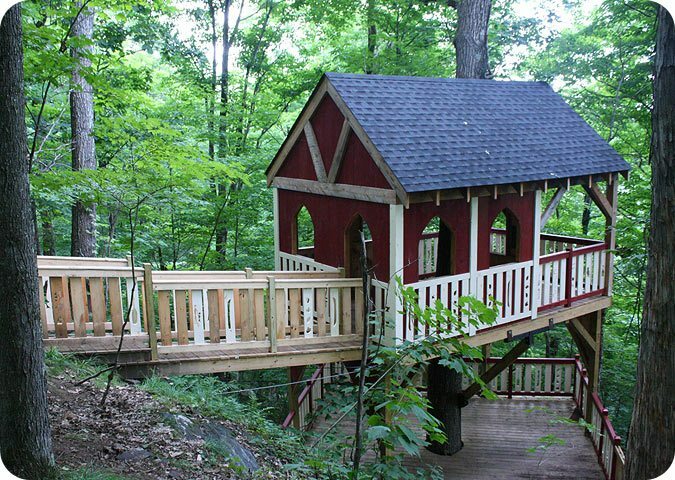 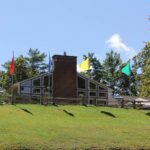 They feature private restrooms and showers, furnished common rooms, and covered decks with easy access to the hundreds of acres of wilderness and trails at camp. 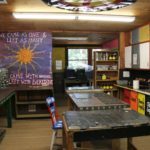 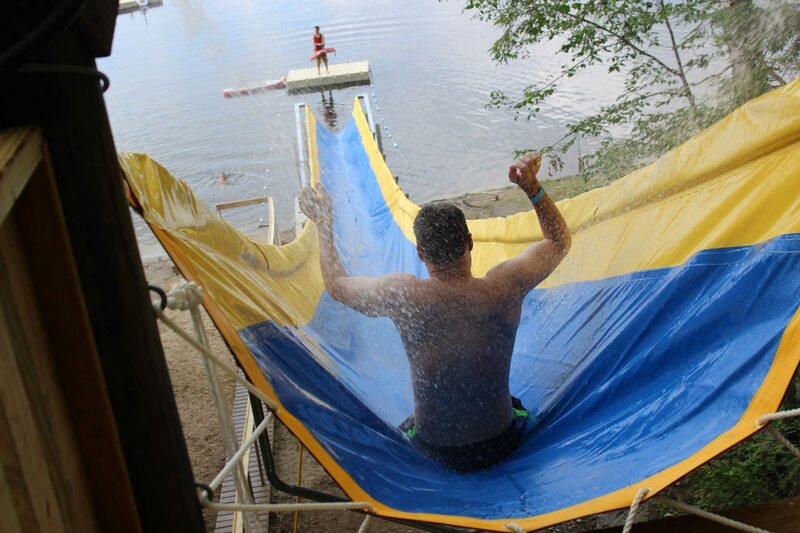 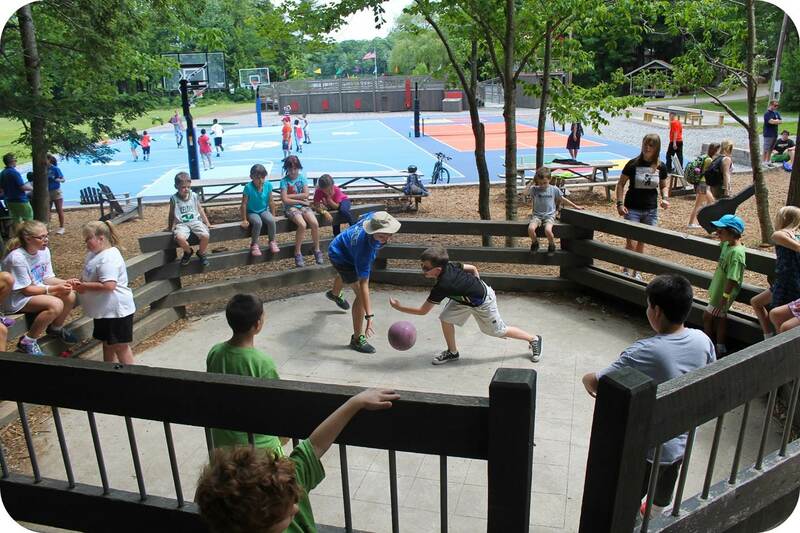 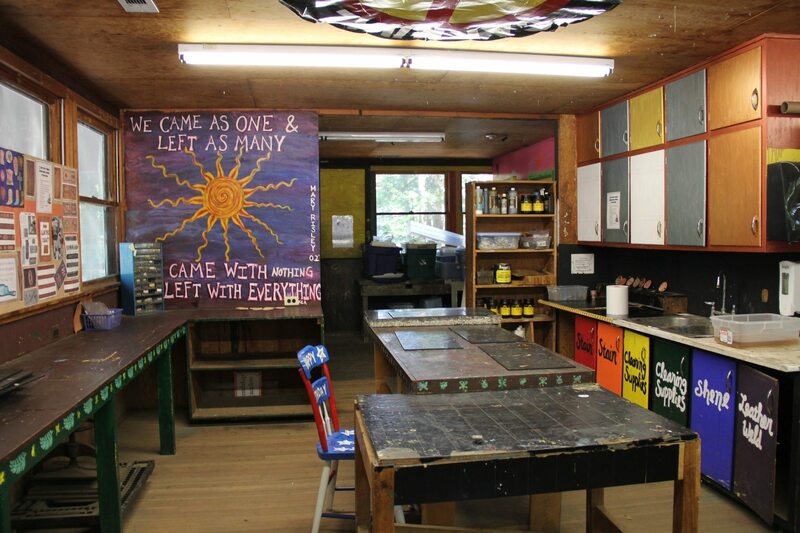 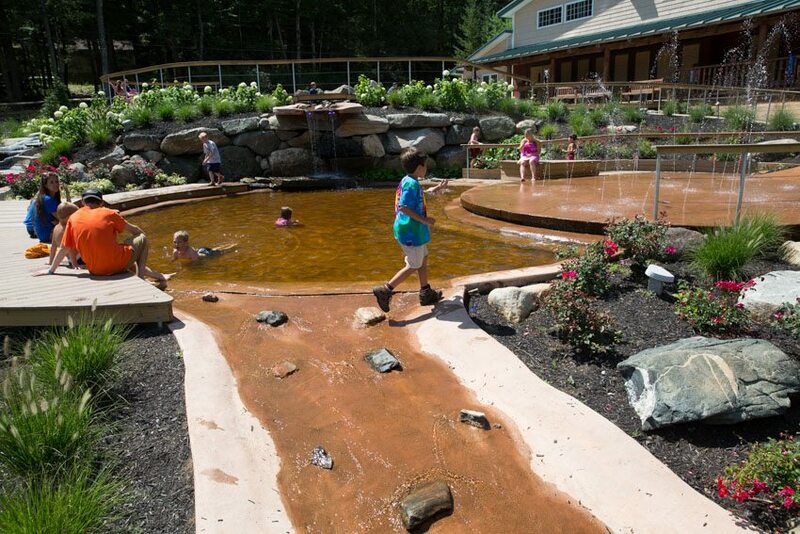 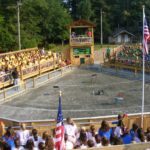 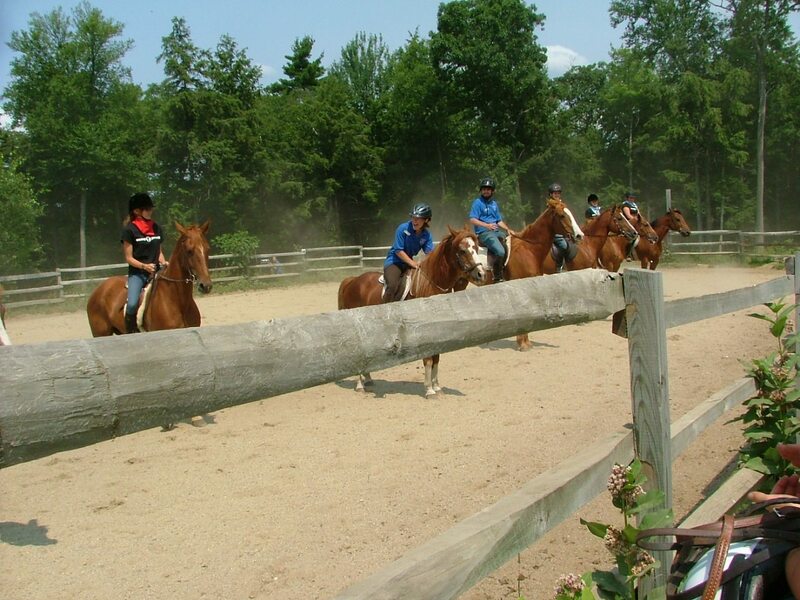 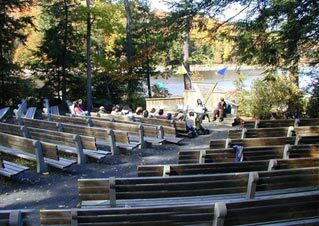 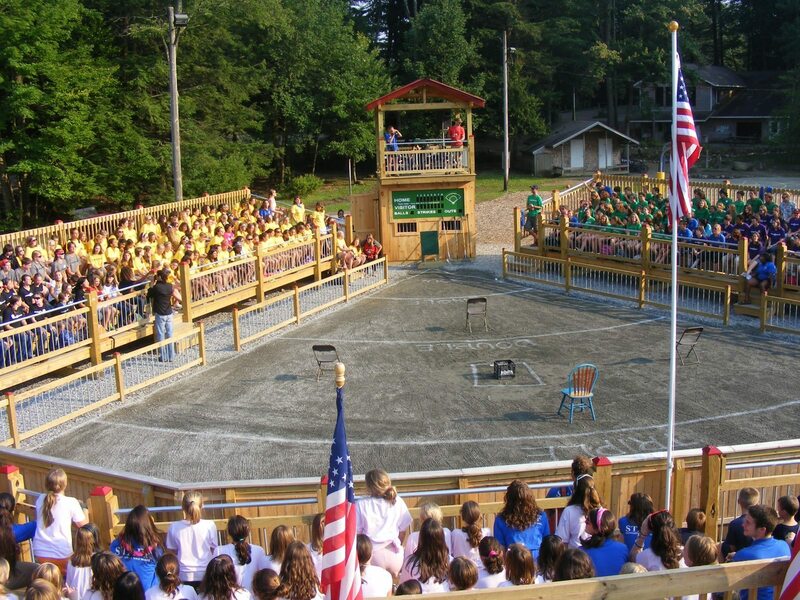 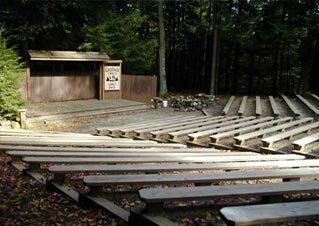 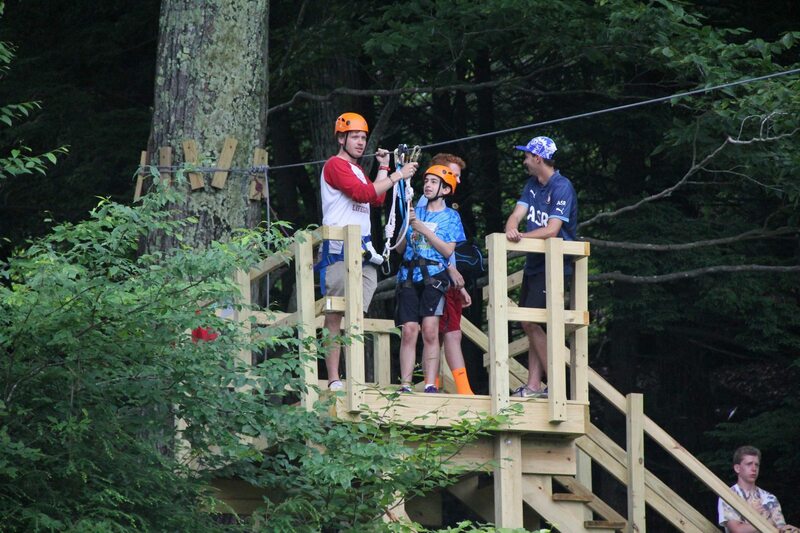 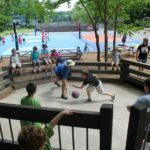 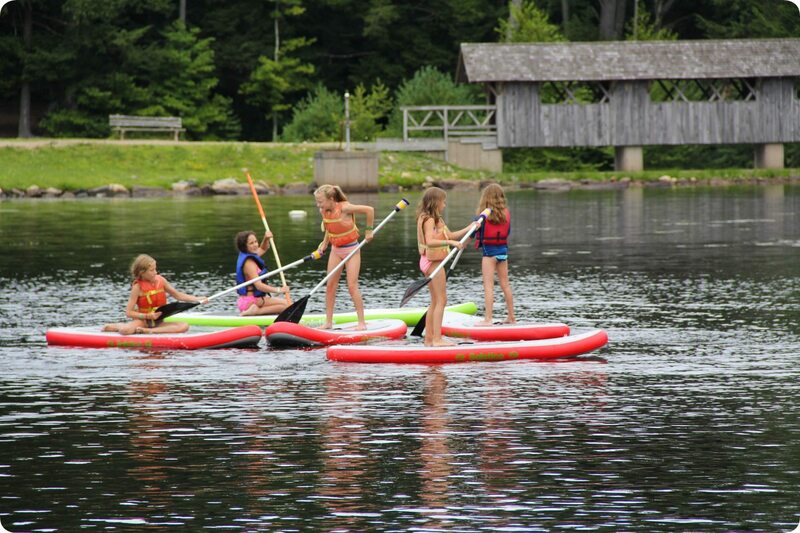 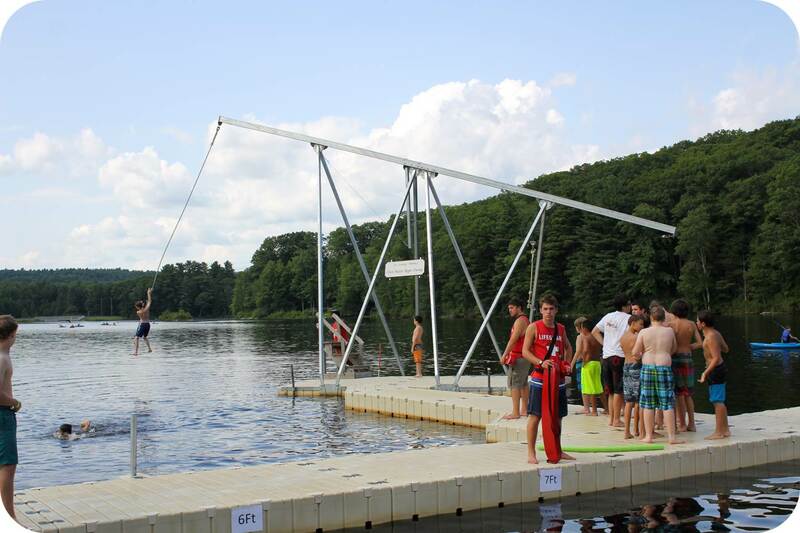 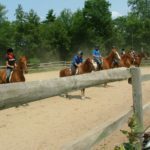 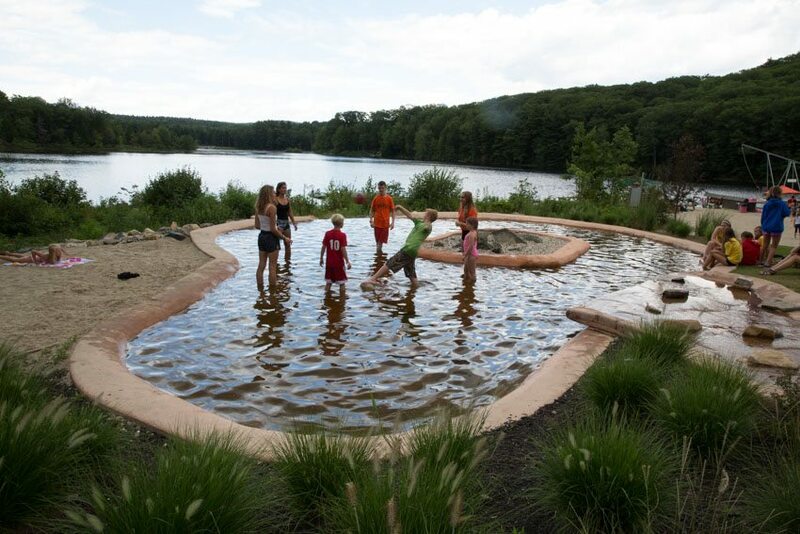 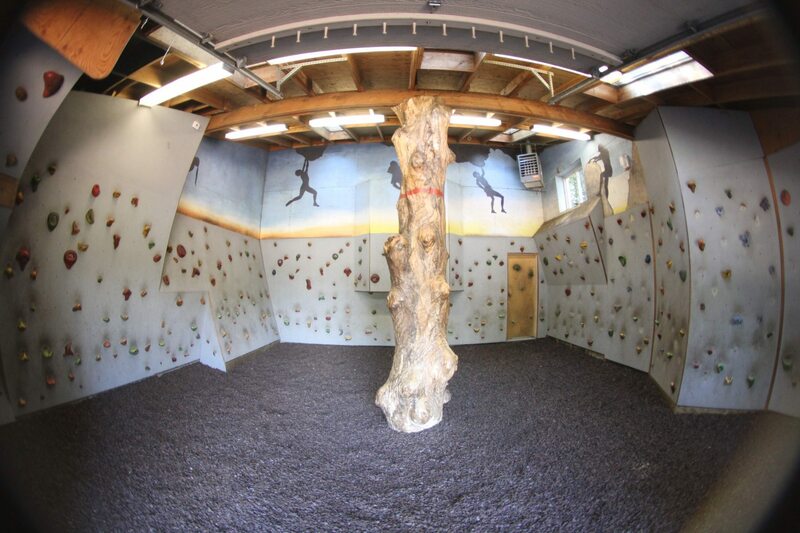 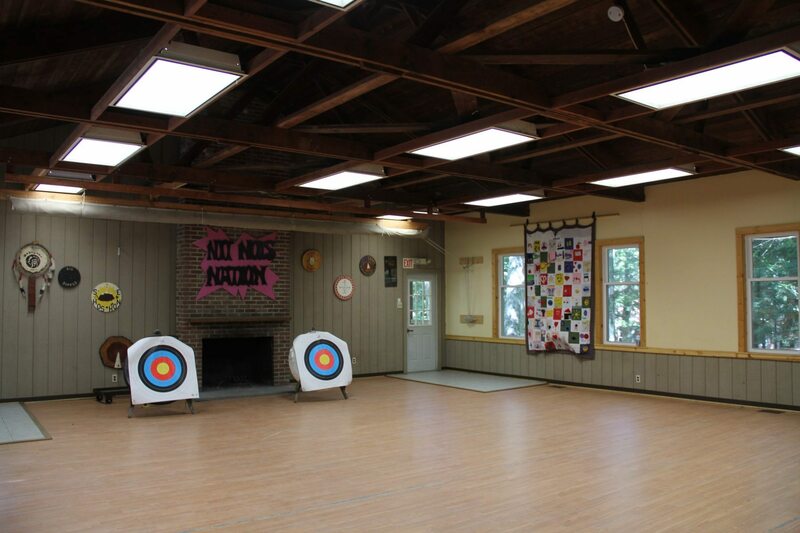 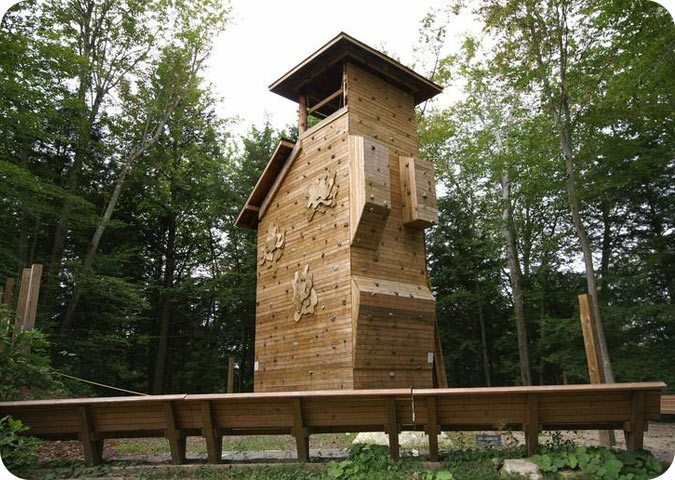 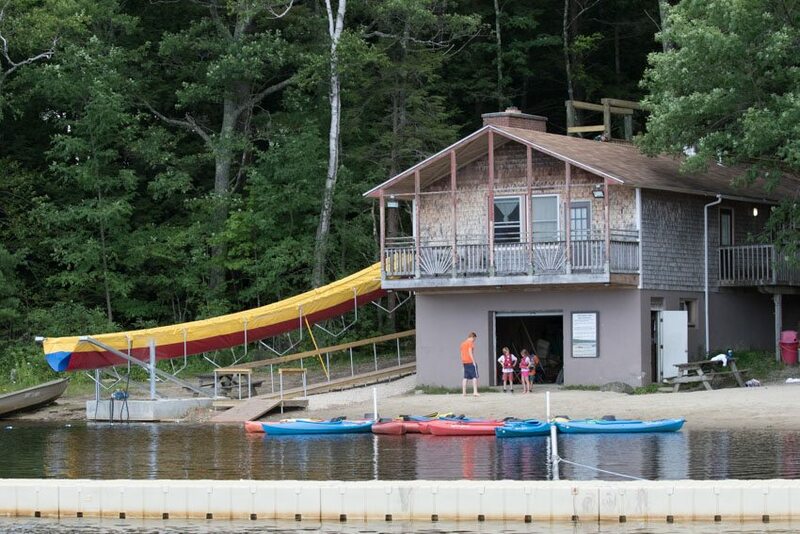 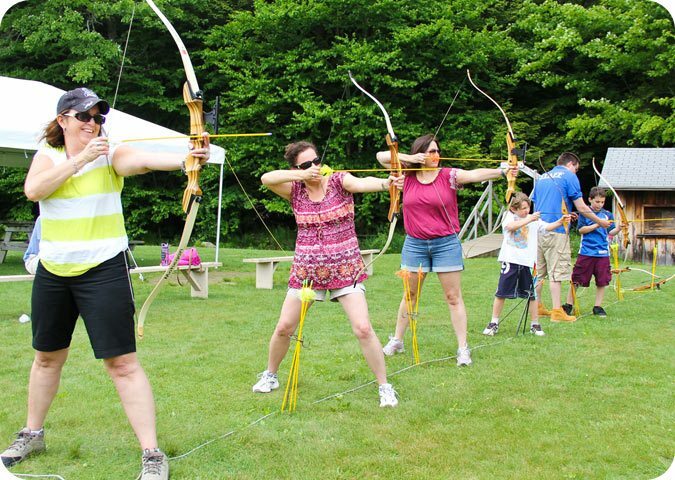 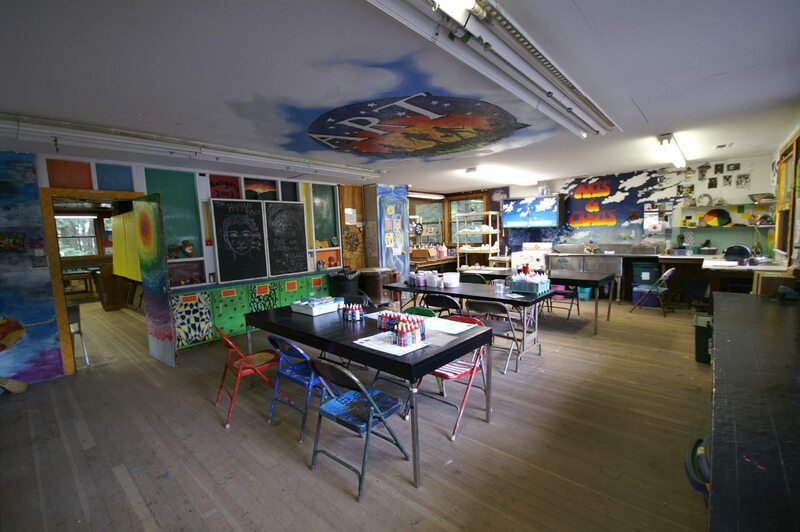 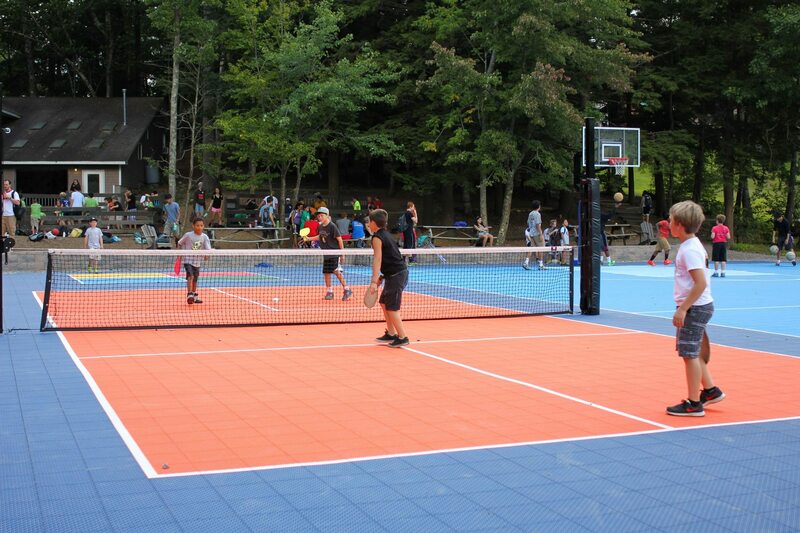 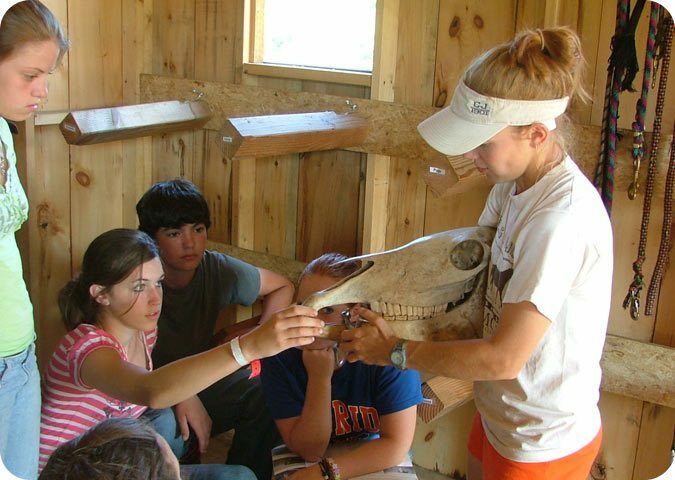 Camp has dozens of program spaces for various activities throughout our grounds. 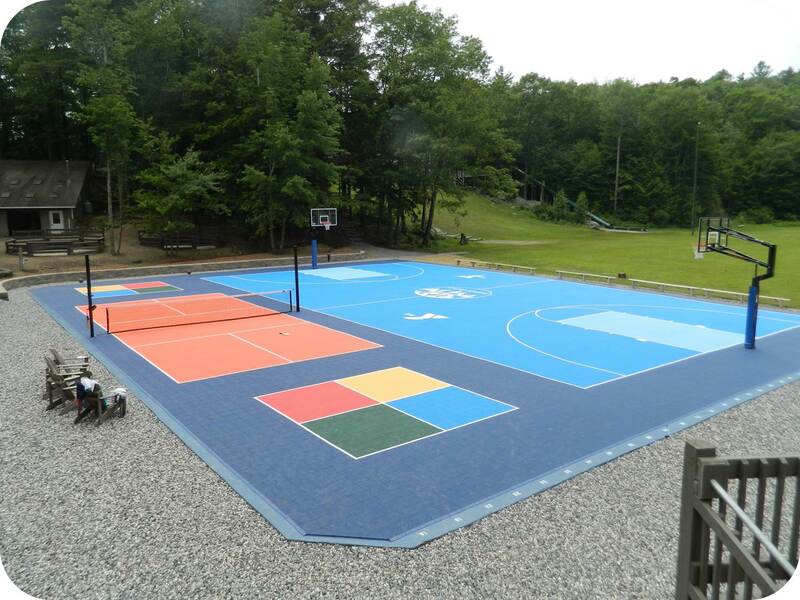 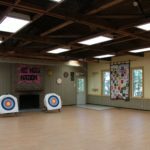 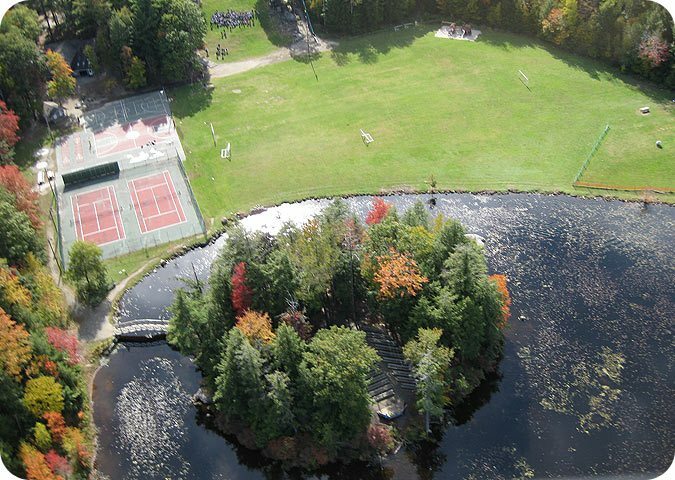 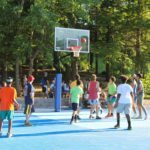 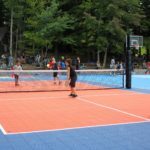 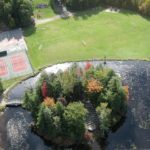 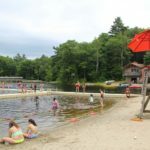 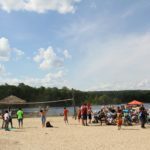 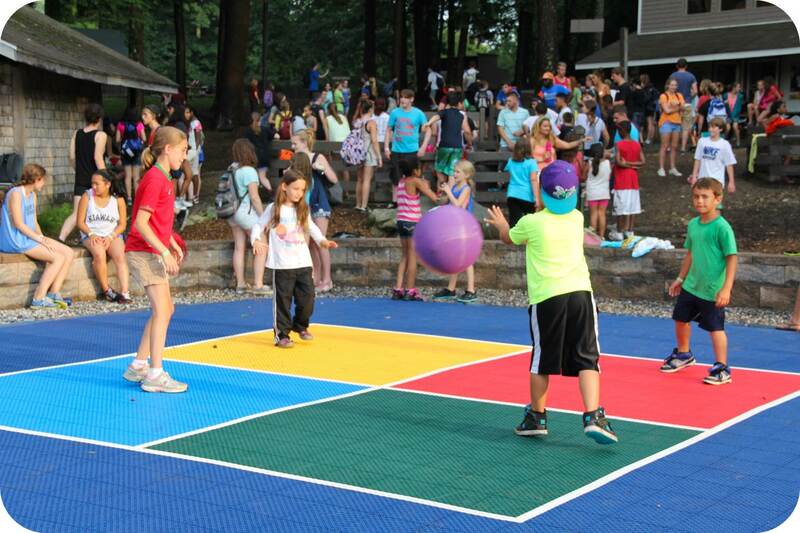 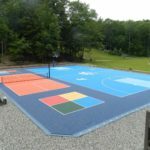 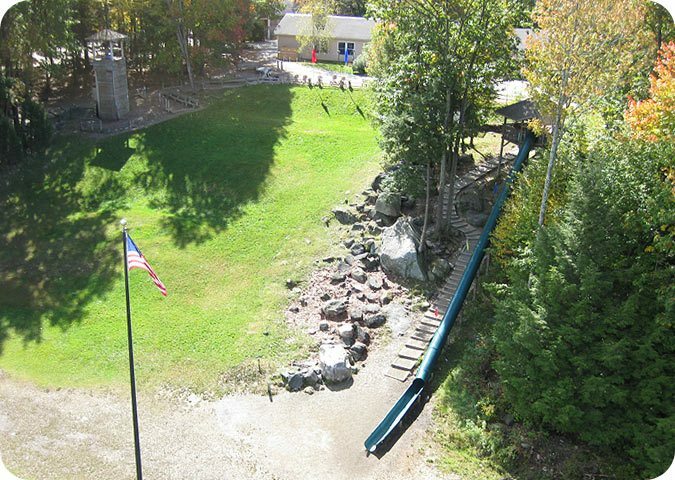 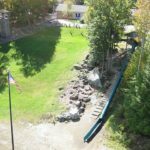 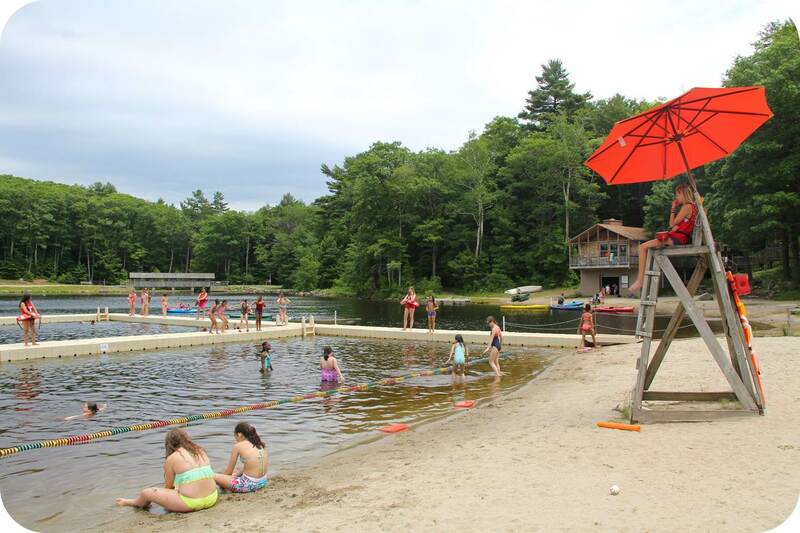 We are constantly upgrading our facilities, continue to scroll down to see the latest additions to camp’s facilities like the sports courts and the new swimming docks as well as those project yet to come! 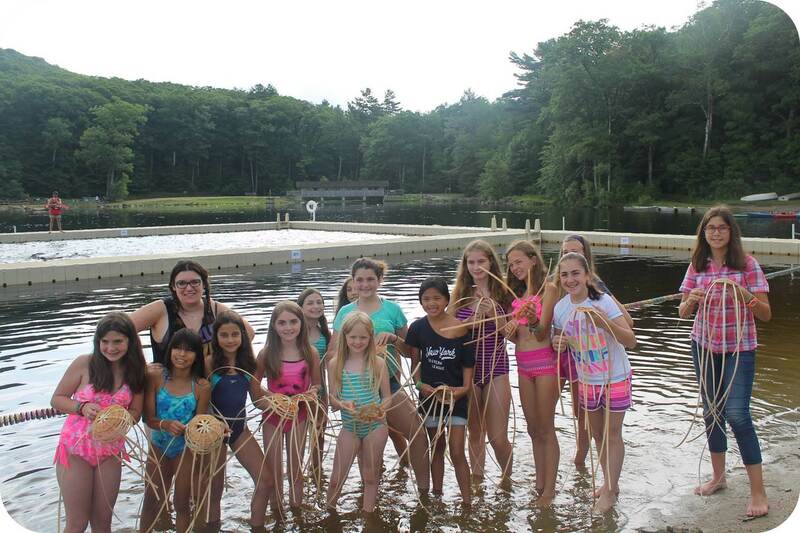 Why just Basket Weave, when you can do it Underwater!